“Working with Dennis has always been a smooth process. From start to finish, he makes things easy as possible. I just purchased my 4th mortgage through him. For this most recent transaction, he gave us our pre-approval letter within hours of me requesting it….on a Sunday!! !” -David M.
“Being a first time home buyer I did not know what to expect. Dennis took the time to walk me through the entire process which was so helpful. He made me very comfortable through the entire process. Speaking with him he would always explain everything in great detail so I would understand each phase of the home buying process. I really appreciated his help.” -Nakia H.
Great experience, highly recommend! Have worked with him for past 15 years always with great experience. -Sean J.
Dennis worked diligently to help me refinance my home. We ran into several issues along the way that I thought would derail the process, but Dennis always seemed to research the issue and find a resolution that worked for me. The outcome wasn’t as I had initially imagined and we tweaked numbers along the way, but Dennis made sure it still worked out in the end. I am very happy with the work Dennis has done. Thank you!! -Jeremy Z.
Dennis guided me through the process of purchasing my home, which was made possible by my husband remortgaging his home. Thankfully, we both worked through Dennis to make this as timely and smooth as possible. We would both highly direct others to utilize the very professional and humanly caring services provided by Dennis! -Patricia H.
Dennis is fantastic! We had a short sale property and to say it was a difficult time is an understatement. Dennis made it so much easier and went absolutely above and beyond my expectations. I will recommend him to any friends or family who are in need of lender services. Thank you Dennis!!! !- Elizabeth E.
Dennis was very helpful in every aspect he was always just a phone call away when we were unsure of anything through this whole process. I would highly recommend Dennis to anyone I know. -Robbie W.
Dennis was very knowledgeable about refinancing homes. He clearly explained the loan and the process we would be going through. He handled everything very quickly and smoothly. He was very good about communicating with me through every step.He even referred me to a better insurance company for my house insurance. Dennis was a great pleasure to work with!! -Wendy S.
Dennis is amazing. So responsive, even when he was on vacation he was answering my many questions, gathering pre-approvals, and answering calls (sorry, Dennis!) he made the process so easy to understand and was a huge advocate of getting us the house we wanted for the best price. Even at closing the title company was saying how impressed they were with his breakdown. We used the VA loan and felt he was very familiar and extremely helpful with the rules/guidelines. Even after closing I had a question and he responded so quickly. It was a very smooth process. Thanks for all your help! -Pamela V.
Dennis is very persistent as well as knowledgeable. My entire process couldn’t have went any smoother thanks to him. -Clemmie W.
Dennis was great he was very patient and very helpful Dennis is very consistent and great at getting you to understand things easily. I am very satisfied with the services that he provided to me. I will be referring people to him for now on for his awesome service. Thank you so much Dennis. -Taneshia S.
Dennis worked hard to get the perfect loan for me to be able to purchase my home. Very knowledgeable of different programs and options available. I would definitely recommend Dennis to anyone looking to purchase a home. -Eric G.
Dennis was very easy to work with. He understood problems and was a tremendous help resolving them, all while being respectful and pleasant. He made it a very easy process. -Dewey S.
Dennis had good advice in helping us decide which loan options would be best for us at this point in our lives. He did what he could to match other rates from other lenders. -Patrick D.
Dennis was always there to help. When making these types of decisions, it is wonderful to have someone like him to explain exactly what to expect. It was a great experience and will tell everyone how great a job he did for us!! -Vickie T.
Dennis did a great job handling our loan. He worked with us throughout the process and explained everything very well. He was very professional and very knowledgeable. I would definitely recommend him and his team to anyone. -Dusko K.
“Dennis was very patient with all of our questions and his communication surpassed our expectation.” -Bradley J. “Dennis always kept me informed and answered all of my questions. I would always get a response back from him that same day. I was very satisfied.” -Tanya W.
“Dennis was so helpful and explained everything step by step to ensure we fully understood all of our options and the home buying process. He was available by phone and email to answer questions and he did so promptly and thoroughly. He really gave us peace of mind. We would definitely recommend him to others!” -Tyler O. “Dennis was absolutely a pleasure to work with and would refer him any day of the week!” -Donald S.
“Dennis did a great job of evaluating my situation and working to the best of his ability to make my plans work. I highly recommend using Dennis and his team.” -Dennis T.
“Flexible with meeting times and supportive throughout the process.” -Rachel O. “Dennis took the time to communicate everything that needed to happen, answered my emails and phone calls promptly, and gave me good advice at every step of the way.” -Joel M.
“My wife and I tried to buy a house with a different lender initially, that not only dropped the ball once, but 4 times 2 days before close, which ultimately we lost the deal. The experience that we had with Inlanta and Dennis and Chayce was unbelievable and we will be telling everyone how non-stressful and smooth it was. They are on point and friendly and quick to communicate. I already referred a friend to them!” -Brad N.
“This is the second time I have worked with Dennis and his team, couldn’t be happier with the service. They have done a great job. I have no complaints. They always communicated to me when they needed to. Everything went smooth buying my home.” -Jason D.
“Always a great job and very professional. Inlanta and Dennis Degrave are my go to for mortgage and refinance options.” -Tom H.
“I am very pleased with my mortgage process with Inlanta Mortgage. They have all been so kind and patient with me through what I call a very stressful process. Dennis Degrave has been wonderful and has stayed in communication with me every step of the way, making this a more pleasurable experience as I am a 1st time home buyer. 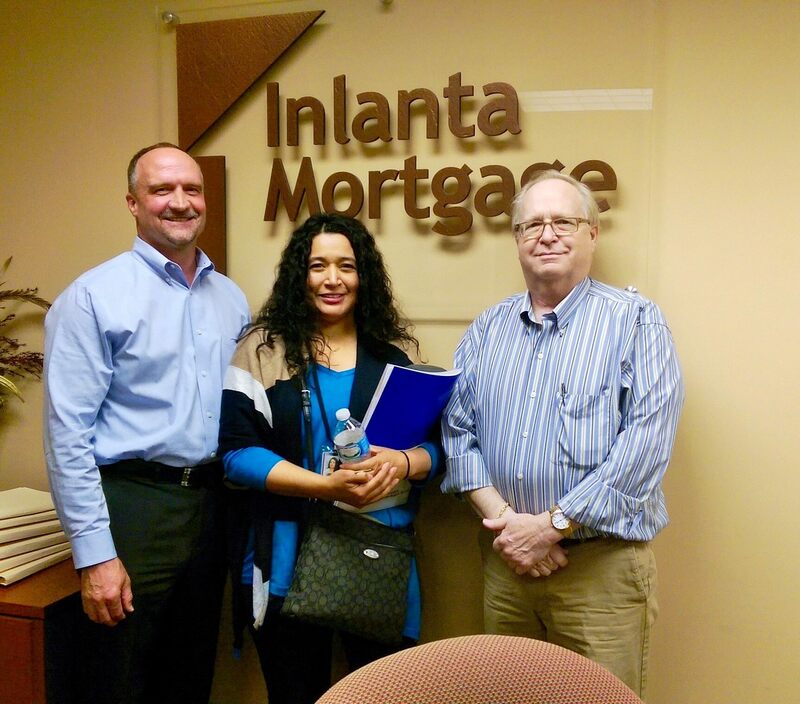 I have felt such ease through the whole process because Inlanta Mortgage did all the hard work for me, which has been awesome. I would highly recommend using Inlanta Mortgage and it’s a must to deal with one of the nicest professional people I have had the pleasure dealing with through this whole home buying deal Mr. Dennis DeGrave has been excellent, professional, timely, extremely helpful and kindness going above and beyond for me. Thank you!! !” – Barbara S.
“Great experience! The staff is friendly, patient, and helpful. Ask for Dennis! 5/5” -Jordan D.
“Dennis DeGrave at Inlanta Mortgage is an excellent person to do business with. He always kept me up to date throughout the entire finance process for my home purchase and got everything done in a very timely matter. I would highly recommend Dennis and Inlanta Mortgage for any home finance needs!” -Shawn G.
“Dennis did a great job with our recent re-fi.” -Dan G.
“I worked with Dennis DeGrave on both of my home purchases. I would highly recommend him as he is very professional and knowledgeable in what he does. He was able to walk me through the process and made things as easy as possible and was quick to answer my questions throughout the whole process.” -Joseph K.
“Dennis was so amazing to work with, he made financing my home easy and was always so accessible. I would absolutely recommend his services if you’re looking for with knowledge of and experience within the industry!” -Jasmine M.
“Dennis DeGrave was excellent! Process went so smooth. He and his team took care of everything! Buying a house can be a stressful time, but they really helped ease what many would think could cause the most stress. It was a blessing to have them take securing our documents and loan. Highly recommend!” -Susan W.
“I have worked with Dennis DeGrave at Inlanta a couple times over the last 10 years and it has always been a pleasure. I even referred a friend who was having trouble getting a mortgage with another lender and Dennis was able to get him taken care of. I obviously would recommend him to family and friends.” -Jill M.
“Worked with Dennis at Inlanta Mortgage for our home. I had a great experience. We were in constant contact due to a couple of hiccups in the process but he was always on top of everything we needed. We recommend using Inlanta.” -Edward C.
“My first house buying experience was so incredibly positive and I owe a big part of it to Dennis DeGrave at Inlanta Mortage and his fabulous team that works right alongside him. House buying can be overwhelming in and of itself and having their support and knowledge the whole way eased that overwhelming anxiety. I plan to refer anyone that is in the market for a Mortage to Dennis directly. Thank you for great customer service! Keep it up! !”-Belle M.
“It was a pleasure working with Dennis DeGrave, he made me feel comfortable, he didn’t have a problem with me calling asking him questions about the loan process or questions regarding the process. My loan process went very smooth. Thanks Dennis and Inlanta Mortgage.” -Renee E.
“MR. DENNIS DEGRAVE, best person in the world to help you buy a home. Turned all the impossible to possible. All was done in two months, first time buyers, very blessed and a pleasure to have had MR. DENNIS DEGRAVE as our certified mortgage planner.” -Gloria C.
“Dennis DeGrave was awesome! He went above and beyond.”-Dan S.
“Dennis and Jon went above and beyond while guiding us through the process to refinance our home!! They were easy to communicate with and answered every question we had in a professional and timely manner. I would highly recommend Dennis and his team at Inlanta to anyone! !” -Rhonda P.
“My wife and I have used Dennis DeGrave at Inlanta Mortgage in Pewaukee, WI to help us finance our first home and our second home. He has also helped us refinance our home. His responsiveness and attention to detail has a way of making us feel like we are always his first priority. Dennis is also very effective at breaking down complicated financial matters in order to help you see a clear picture of all the different expenses involved in your home and what it is that you are paying. We couldn’t recommend Dennis enough.” -Jordan K.
“Dennis & his staff have been so helpful & were always “on it” when going through the process of helping me obtain my new home, they always got back to me right away with ANY questions I had (not that I needed many answered, because they were very thorough)! I would highly recommend them, as they truly care, I have already mentioned them to some of my co-workers!” -Debra J. “Dennis was a pleasure to work with from the start!! He was very informative, and always quick to answer any of our questions. Overall, the entire process went smooth, and that was in large part to Dennis and the Inlanta staff. I would definitely recommend him to anyone looking to buy a home.” -Paul E.
“Dennis Degrave is who you want to see. He will make sure everything is done correctly and on time. I never had any of the problems that I hear my friends having with their financials not being in on time.” -Dylan K.
“Very professional company. They worked hard to get us the best interest rate and went the extra mile to make sure we were happy and everything was done on time. Would recommend Dennis to anyone!” -Brian G.
“Dennis made sure that the mortgage process was as smooth as possible. Communication was fantastic even though I was only available via e-mail for the most part. Dennis replied to my e-mails in short order. I’d highly recommend Dennis and his branch to anyone.”-Paul K.
“Dennis has been our personal contact for many years and has always been straight forward with us. His professional approach is awesome and would recommend him to others as we have done. A+ in my book. Thank you for helping us get our dream house” -Brian P.
“We had a wonderful experience working with Dennis and Jon on the purchase of our first home. They are incredibly attentive to their clients and easy to work with. I really appreciate the time they took to make sure we understood the process and were comfortable with everything going on. It was very obvious that they genuinely care about the needs of their clients. I highly recommend them to anyone looking to purchase a home. Thanks for all the hard work guys! !” -Beth H.
“Excellent customer service (Dennis De Grave). Professional, knowledgeable, and helpful. Competitive rates. Would recommend to family and friends.” -De N.
“Excellent experience with Dennis and Inlanta! Dennis was very pleasant to work with, explained what needed to be done and answered all our questions. His knowledge and experience in the mortgage process made it more relaxing for us. The whole process of buying our home went smooth. We’ve been telling family of our experience and will continue spreading word. We will direct anyone looking to purchase a home your way! We are so grateful for your help and love our new home!Thank you Dennis (DeGrave) and Inlanta!” -Jeffrey K.
“Excellent experience with Dennis and Inlanta! Dennis was very pleasant to work with, explained what needed to be done and answered all our questions. 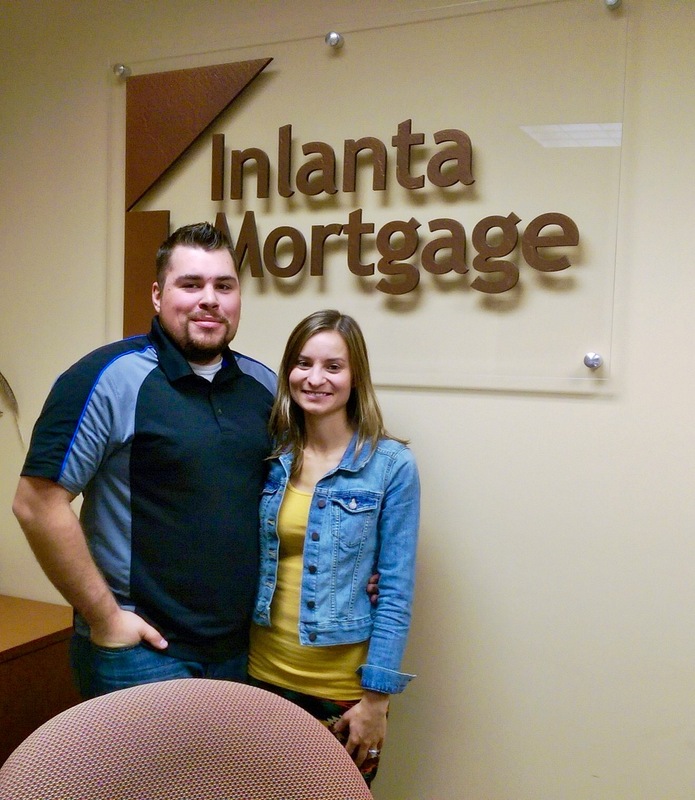 His knowledge and experience in the mortgage process made it more relaxing for us. The whole process of buying our home went smooth. We’ve been telling family of our experience and will continue spreading word. We will direct anyone looking to purchase a home your way! We are so grateful for your help and love our new home! Thank you Dennis and Inlanta!” -Lisa S.
“Inlanta processed my refi quickly. And the cost was low. This is the second time I’ve refi’d and it was very easy. All of the paperwork up to the closing was done on line. It was easy. Thanks, Dennis” – Leo G.
“Inlanta Mortgage and my planner Dennis DeGrave are very efficient and professional. They get the job done in a very timely manner and I would recommend Dennis and Inlanta to who ever is looking for this type of service. I have been a customer since 2010 and have used the services Dennis provides 4 times now putting me in a better financial situation every time.” -Thomas H.
“Dennis made my first home buying experience a very positive one. He was always very willing to answer every question I had with a thorough explanation. I would recommend him to any prospective homebuyer.” – Patrick K.
“Dennis and Jon, with Inlanta Mortgage, did an amazing job. They made sure I had all the information I needed for my Mortgage process. They communicated everything to me in a timely manner. They answered all of my questions. When I went to the title company to close on the property even they were impressed with the communication and delivery of documents! 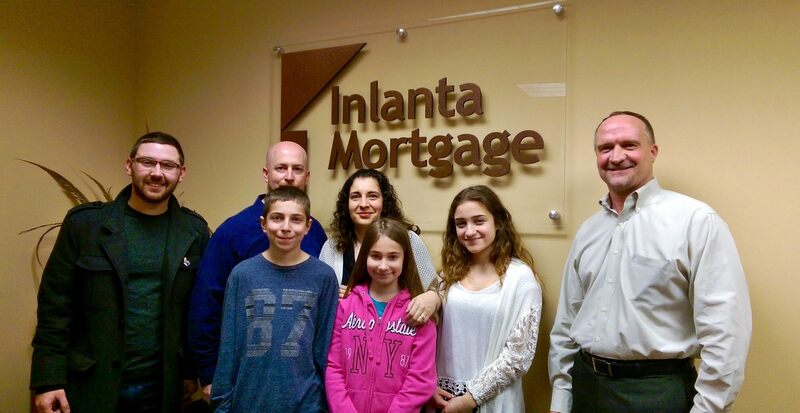 Great job!” -Jason D.
“My wife and I have been customers of Inlanta Mortgage for over twenty years. We have done a number of Re-Fi mortgages and each one was handled professionally and quickly. Mr. Dennis Degrave has been our Loan Officer during all this time and we feel lucky to have had his help. He kept us informed and up to date at all times. He is the first person we think of when we are thinking of mortgages. I’d like to extend a thank you to all the staff of Inlanta Mortgage who also were a big help in the successful completion of the new mortgage.” -Joseph S.
“Dennis was very helpful from pre-approval to closing. Very courteous and professional. He was very prompt at returning emails and calls. I highly recommend Dennis.” -Tuan T.
“We recently worked with Dennis to purchase a new home and he made the process simple from start to finish. Great experience.” -Bryan J. 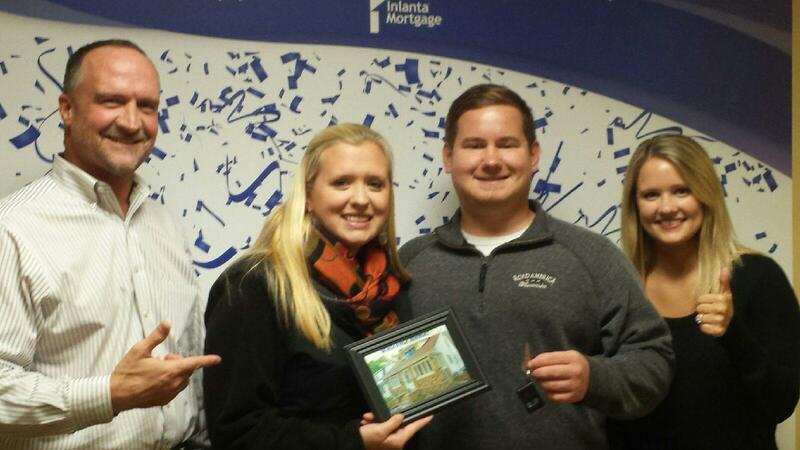 “I want to thank you for all of your hard work in assisting me in financing my very first home. I truly appreciate your time spent in thoroughly explaining the process and expediting things in a very streamlined manner. You helped make this experience as stress-free as possible. I appreciate all your hard work during this process!” – Jennipher H.
“Dennis DeGrave was an amazing help throughout this process. He was always there around the clock to answer our questions. He was friendly and professional. Highly recommend him to friends and family!! !” – Domonic W.
“Dennis should teach a class on how to be an awesome lender. He called/emailed once a week to keep me updated in regards to my file. Very organized and very professional. 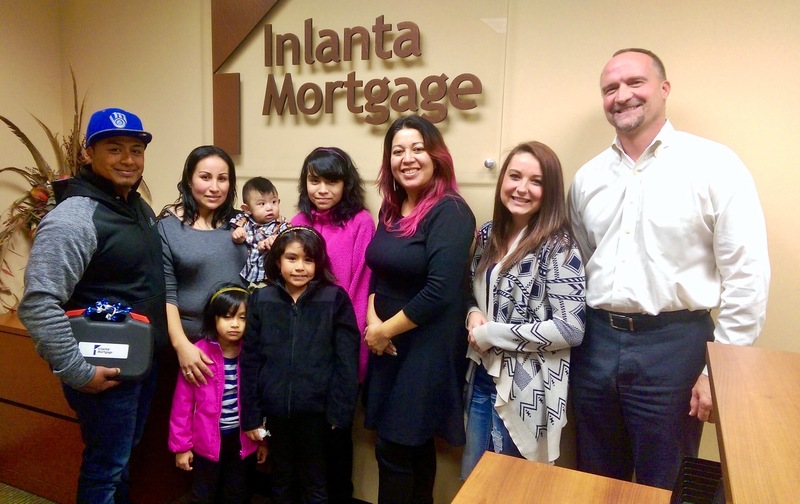 Inlanta Mortgage should be very thankful for having Dennis DeGrave on their team. He makes this company shine with his professionalism. Chuck Norris has nothing on Dennis DeGrave!” – Johnny K.
“Dennis was great. We had a really bad experience with a different lender, taking way too long to get the approval to us (a month) and took days to get back to us when we would contact them. Dennis got the pre-approval done the same day I first called him and if he said he would call me back in an hour, it was an hour not days later like the other guy. We are so grateful to him and all of his work he did to get us in our house in a timely manner.” – Brandon and Cassie J. “Dennis was recommended to us by someone, years ago, when we bought our first home in 2001. He’s always been someone we can go to with questions and feel comfortable working with. We trust Dennis and feel he’s always guided us in the right direction, whether it was refinancing or needing answers, to what we thought, were silly questions. He’s there for us when we need him! I have recommended Dennis to friends and family because he’s a just an all-around GOOD guy who has the expertise we need.” – Tina H.
“This is our second time using our loan officer. Very knowledgeable and always had the answer to our questions. We knew exactly what we were getting. Wonderful experience!” – Pam K.
“They were up front, gave me plenty of options, and were great at explaining things in different ways. If I didn’t understand it one way, they gave me another.” – Kurt R.
“I truly appreciate the knowledge and thoroughness of Dennis DeGrave. His ability to wade through the details to produce an expeditious outcome are very much appreciated!” – David K.
“I have to say, I felt very comfortable contacting Dennis with any questions. He was very thorough in his explanation and made sure I understood everything. I have no reason to expect any better or go through a different company. I always recommend Dennis to any friends that are buying property. He’ll always be my first option if I’m looking for a mortgage or refinancing.” – Scott S.
“Dennis did a magnificent job with the whole process from start, middle and the end. He made me feel like a person and not a number. He responded to phone calls and emails immediately and he was on top of everything. I am proud to have gone through the process with Dennis.” – Barbara D.
“The speed of service and Dennis’ expertise gave me a tremendous amount of confidence in Inlanta especially being a first time home buyer. Talked language I understood, answered my questions, and never missed a beat in the whole process from start to finish. Dennis shared in my excitement and provided me with an absolutely wonderful experience.” – Karen K.
“I have worked with Dennis and Inlanta numerous times over the past few years. Their customer service and responsiveness is always outstanding. I have recommended Dennis to family and friends and will continue to do so. Thanks again for another smooth refinance!” – Mark N.
“We just wanted to take the time to thank you for helping us with the purchase of our new home. Your help made it easier than we ever imagined. 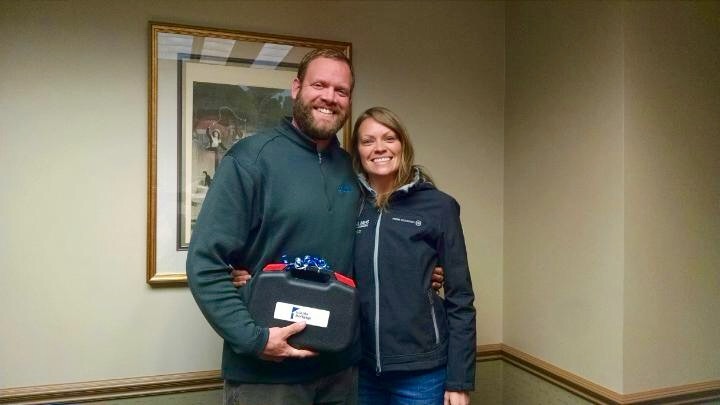 We also really appreciate the tool set!” – Drew & Gretchen M.
The best part about my mortgage experience: “Knowing that Dennis DeGrave will offer me his best options and take care of everything to close, without me worrying about it!”- Mary C.
“The customer service was the best part. Being able to call Dennis and ask him my questions without feeling like I was bothering him. I didn’t feel blind going into the process, he made it clear what to expect and I wasn’t just a number but he actually cared to keep me informed.”- Sarah M.
“The team I worked with worked very hard to get things done and done right. They went out of their way to ensure I received the mortgage!”- Michael T.
“Once again Dennis and Inlanta overwhelmingly exceeded our expectations.” – Todd and Angela G.
“Everyone from support staff to Dennis DeGrave were very professional, friendly and accurate.” -Mary G.
“Dennis was fantastic to work with! He answered every question and kept us informed every step of the way. We would absolutely recommend Dennis!” -Kevin D.
“Dennis took time to make me feel like a priority.” -David K.
“Thank you for making our first home possible!” -Danyelle P.
“He was so understanding without the processes of me having to assume the rest of my mortgage. Thank You.” -Jayne N.
“Dennis and the whole team at Inlanta Mortgage made my home buying experience very enjoyable.” -Ryan B. 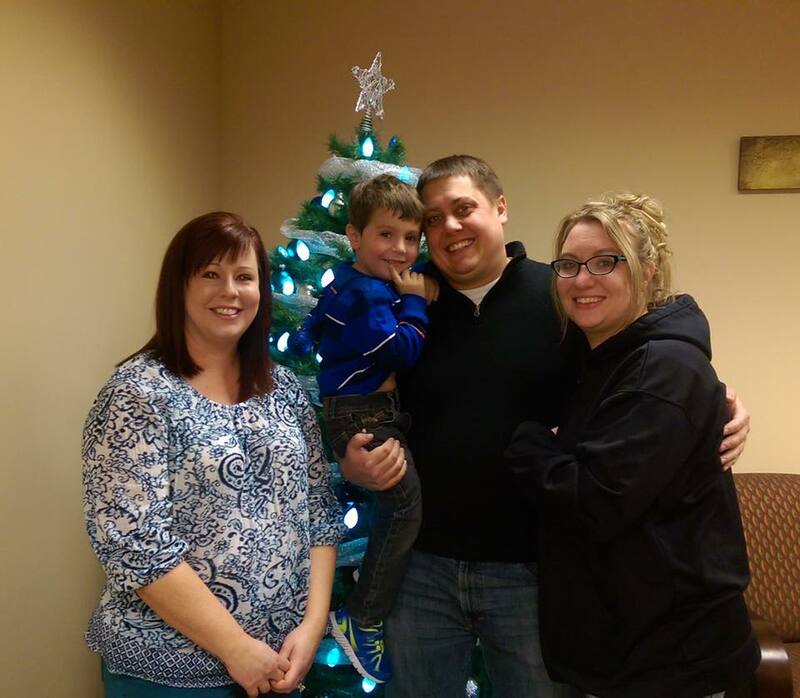 “Dennis did a great job putting all the pieces together to make sure we were able to get our loan in a short frame. Dennis and his team are awesome!” -Jacob B. 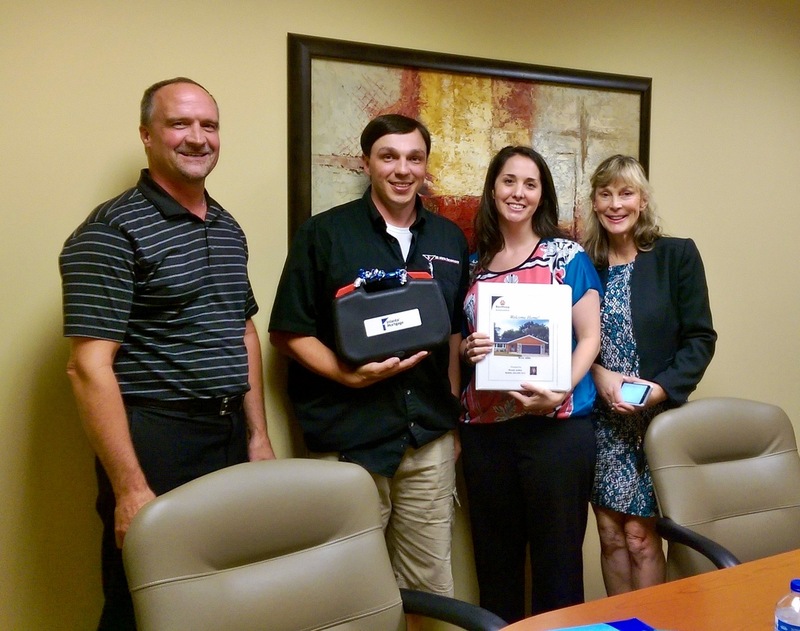 “My wife was feeling very anxious about the mortgage process as this was our first home purchase. We had started the process with another lender and felt very uninformed. We were referred to Dennis by a family friend and he immediately put together an plan and cleared his schedule that same day to sit down and talk with my wife. She felt so at ease after that discussion! Dennis and his team continued to impress us with frequent check-ins and updates on our loan approval. Top notch service!” -Michael P.
“Dennis was fantastic, he was able to answer every little question I had [I had a lot]; It was my first purchase of a home and I really had no idea what I was doing or how much of a loan I needed in order to stay within a monthly price I wanted. Dennis made this super easy and made it very clear so I could understand when I had questions and my realtor couldn’t. Closing was very easy as well. I brought my down payment signed some papers and took less than an hour. I definitely recommend Dennis.” -Katherine S.
“Dennis was awesome throughout the whole loan approval. Him and his team took their time explaining everything to me and really worked with me. They kept me up to date on the whole process and were very prompt when it came to service. They were all fantastic and very helpful! 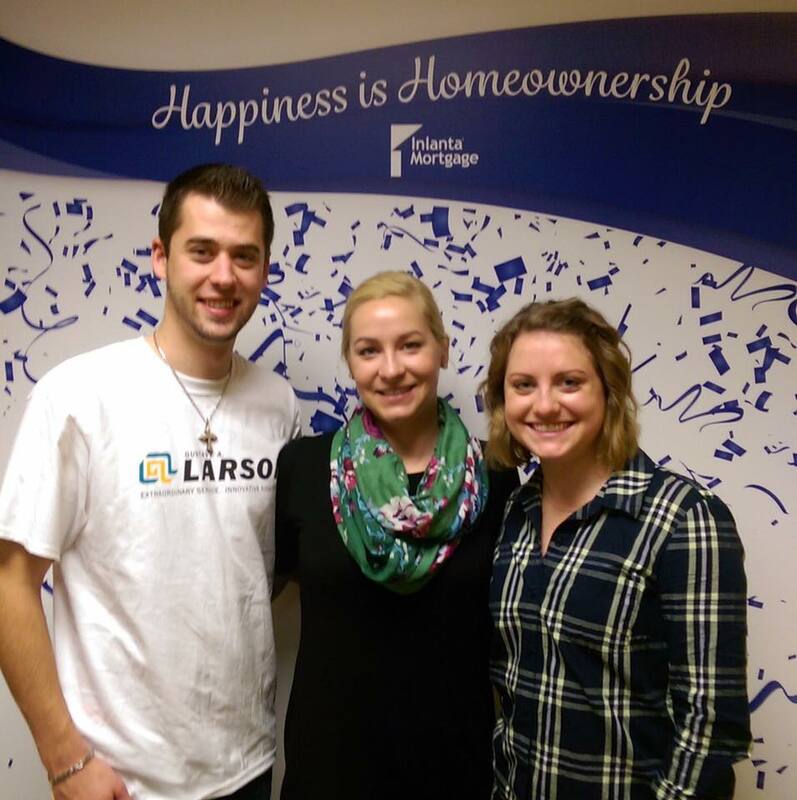 I would highly recommend them to anyone else looking to purchase a home.” -Jason C.